Wednesday TV: Leaf Peeping, Live! 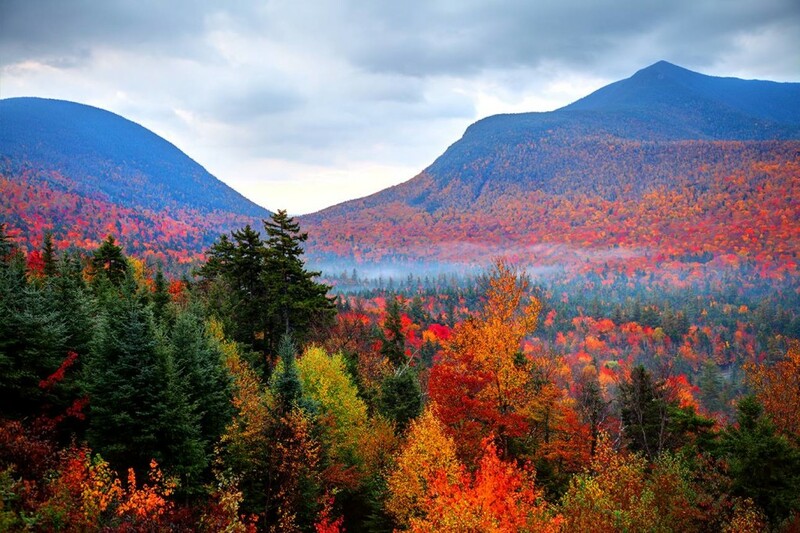 I’m a sucker for live nature events and the latest one, after “Big Blue Live” and “Wild Alaska Wild” Is “Autumnwatch-New England” (PBS, 8 p.m., check local listings), celebrating good, culture, science and wildlife in the region, but mostly fall foliage. The live stuff will be best (though dark this time of year), but there will also be prepped segments on moose, sharks, wild turkeys, cranberry bogs, pumpkin carving and fall festivals. New Hampshire’s Samantha Brown hosts the three-night event, alongside wildlife cinematographer Bob Poole and the BBC’s Chris Packam. It’s followed by a look at addiction on “NOVA” (PBS, 9 p.m.). “Survivor” (CBS, 8 p.m.) switches up the tribes. Game 4 of the ALCS has Boston at Houston (TBS, 8:30 p.m.) follows NLCS Game 5 of Milwaukee at Dodgers (Fox Sports 1, 5 p.m.). In the first of the two-part “Neanderthal” (PBS, 10 p.m., check local listings) the scientist and part time comic Ella Al-Shamahi gets motion capture star Andy Serkis to create a 3D working avatar of the ancient man. Sleep training is a problem for “Single Parents” (ABC, 9:30 p.m.). Ryan J is celebrity host at the Snowball event on “Star” (Fox, 9 p.m.). On “Modern Family” (ABC, 9 p.m.), Haley has to choose between boyfriends. Anna-Kat is a candidate in the school election on “American Housewife” (ABC, 8:30 p.m.). Spencer is still adjusting to Beverly Hills on “All American” (CW, 9 p.m.). Delilah’s secret takes a toll on “A Million Little Things” (ABC, 10 p.m.). A ride-along goes bad on “Chicago P.D.” (NBC, 10 p.m.). On “Criminal Minds” (CBS, 10 p.m.), gruesome packages are delivered to a half dozen people in D.C.
They’re vaping on a new “South Park” (Comedy Central, 10 p.m.). On “The Goldbergs” (ABC, 8 p.m.), Adam doesn’t want his mom to chaperone the school trip to Hershey Park. Nia has a homecoming on “Total Divas” (E!, 9 p.m.). On a new “It’s Always Sunny in Philadelphia” (FXX, 10 p.m.), the gang updates their phones. On “Empire” (Fox, 8 p.m.), Cookie and Portia try to sign Devon. Sounds like there might be a bit of a crossover on “Chicago Med” (NBC, 8 p.m.). A grim discovery is made in the forest on “Riverdale” (CW, 8 p.m.). “Chicago Fire” (NBC, 9 p.m.) has to deal with a series of explosions. Tragedy strikes on a super-hyped episode of “SEAL Team” (CBS, 9 p.m.). Bae hires a new receptionist on “Black Ink Crew” (VH1, 10 p.m.). Hockey has Rangers at Washington (NBC Sports, 7 p.m.) and Boston at Calgary (NBC Sports, 9:30 p.m.). The NBA season continues its initial games with New Orleans at Houston (ESPN, 8 p.m.) and Dallas at Phoenix (ESPN, 10:30 p.m.). It’s U.S. vs. Canada (Fox Sports 1, 8 p.m.) in soccer’s Concacaf Women’s Championship final; with Panama vs. Jamaica (Fox Sports 2, 5 p.m.) in the third-place game. Women’s college volleyball includes Mississippi State at Alabama (ESPNU, 7 p.m.) and Kansas at Kansas State (ESPNU, 9 p.m.). Kelly Ripa and Ryan Seacrest: John Goodman, Amandla Sternberg. The View: Michael Fishman, Lecy Grandson. The Talk: Shemar Moore, Jessica Radloff, Carrie Ann Inaba, Paulina Rubio. Steve Harvey: Geoffrey Owens. Ellen DeGeneres: Maya Rudolph, Bazzi. Wendy Williams: Van Jones. The Real: Romeo Miller. Stephen Colbert: Peter Dinklage, Busy Philipps, Noname. Jimmy Kimmel: Cardi B, Alexandria Ocasio-Cortez, J. Balvin with Zion & Lennox. Jimmy Fallon: Jonah Hill, Charles Barkley, Bazzi (rerun). Seth Meyers: Molly Shannon, Constance Wu, Nathaniel Rateliff & the Night Sweats, Daxx Nielsen (rerun). James Corden: Jamie Lee Curtis, Felix Mallard, Colin Macleod. Carson Daly: Taissa Farmiga, Wilderness, Justin Willman (rerun). Trevor Noah: Julian Castro.